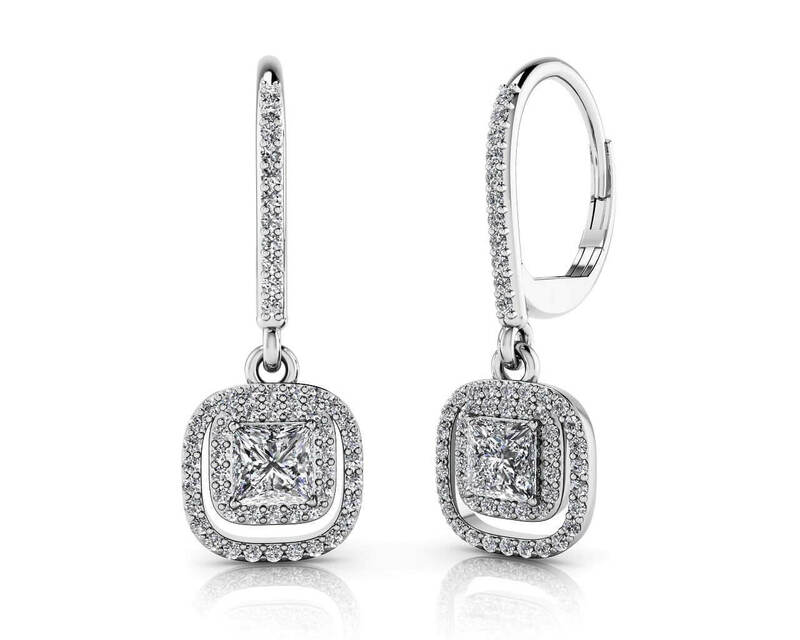 This gorgeous diamond bail drop pendant has two individual rows of diamonds encompassing a princess cut center diamond. 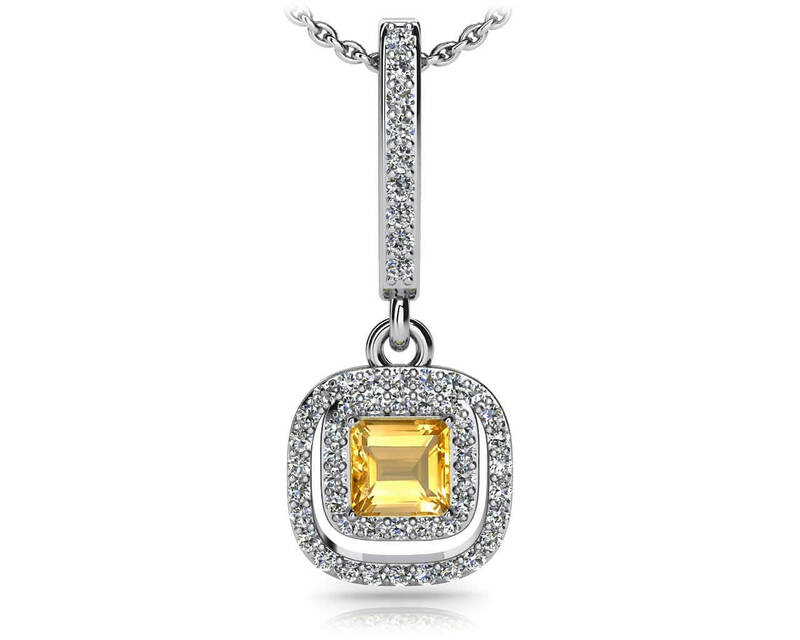 With a total of 51 diamonds this diamond necklace is sure to amaze and delight! 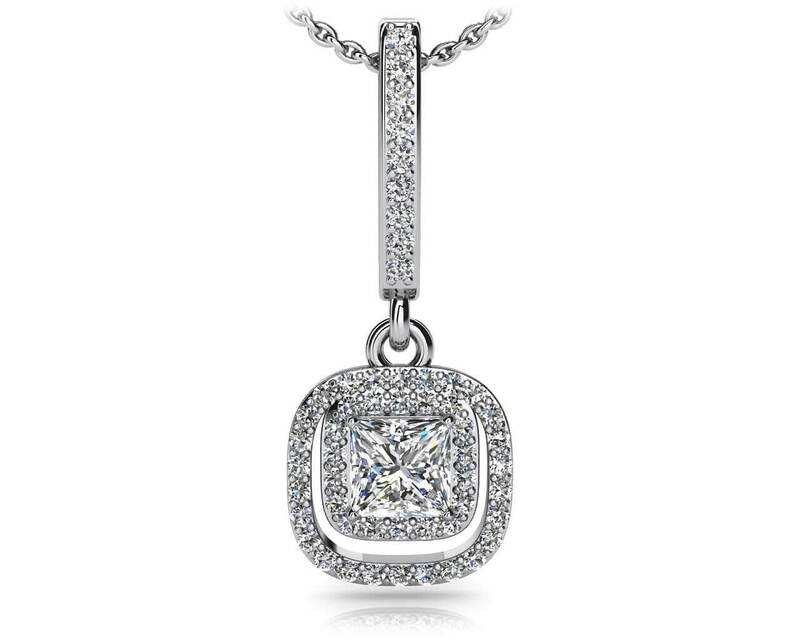 This diamond necklace features a diamond bail leading to a curved square design which encloses the center princess cut diamond. 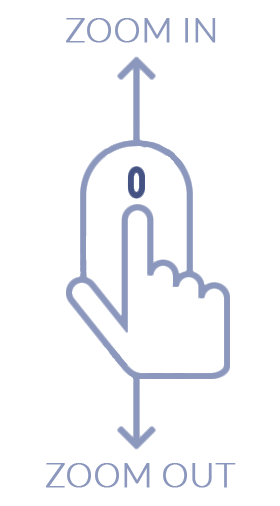 Perfect for wearing all day into your evening out! Stone Carat Weight: 51X0.005 ct., 1X0.270 ct.